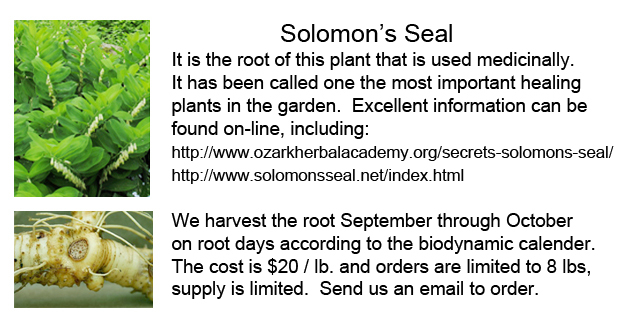 Below is a partial list of medicinal plants found on Flack Family Farm, either propagated or growing naturally. We harvest to order and mail fresh. Call or email for more information. All herbs are grown using organic methods.